Pioneers in the industry, we offer non lubricated compressors from India. Made available to the clients at a market leading rate, demand for these Non Lubricated Compressors is quite high. Manufacturing of these is done as per the industry set norms, for quality maintenance. The highest grade of raw materials used in their making, render the products superior sturdiness and a commendable functionality. Further, their service life is highly acclaimed in the market. 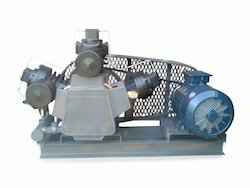 Manufacturer & Supplier of Oil Free Compressors. Our product range also comprises of Air Compressors, Air Compressor Spare Parts and Heat Exchangers. Looking for Non Lubricated Compressors ?